A Monday snowstorm made for hazardous travel, causing massive delays on area roadways and transit systems and making for the worst commute times so far this winter season. Travel times had nearly tripled Monday morning as up to 7 inches of snow fell in some locations. Every major expressway in Chicago saw traffic nearly stopped in the city as heavy snow continued falling, reducing visibility and prompting numerous spinouts. Average speeds by 8 a.m., as the commute would normally begin tapering, were reported to be at about 10 mph. Both Metra and the Chicago Transit Authority saw blanket delays across all lines. Trains on all Metra lines were running an average of about 10-20 minutes behind schedule as 7:30 a.m. Door problems, signal problems and mechanical problems were causing significant delays across CTA lines as crews worked to restore service. Meanwhile, hundreds of flights were canceled at Chicago airports. 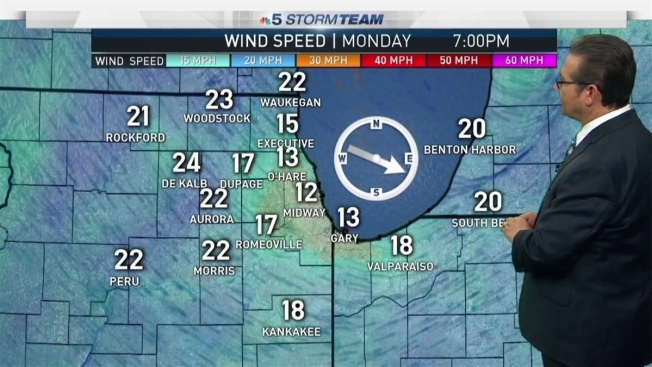 De Kalb and LaSalle counties were under a Winter Weather Advisory through 6 p.m. Monday as well, while Cook, DuPage, Grundy, Kane, Kankakee, Kendall and Will counties in Illinois, plus Jasper, La Porte, Lake, and Newton counties in Indiana were under a Winter Weather Advisory through 9 p.m. Monday. Even after that weather system moves out of the area, residents will have to deal with a different threat: bitter cold, which could cause even more problems for commuters.